BlackBerry, the renowned mobile phone manufacture always comes up with quality mobile phones to impress their customers. This mobile phone never let you down. It incorporates the latest technologies to impress their customers. This Blackberry Pearl Flip 8220 mobile phone got high resolution internal display of 240 x 320 pixels with a colour transmissive TFT LCD. The External display has 128 x 160 resolution. You can select the font size as per your preference and it has light sensing screen too. 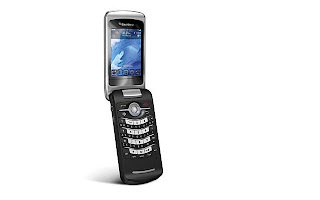 This mobile phone got 2.0 MP camera with flash and digital zoom. By inserting the MicroSD card you can easiy utilize the Video camera to satisfy memory requirements. Your interactions with this mobile phone become easy with the help of the Trackball, QWERTY keyboard and the Keyboard backlighting. It integrates Built-in speaker phone and earpiece microphone. This mobile phone is pre loaded with the BlackBerry Maps. The Media player integrated in this mobile phone capable to play the video files and it supports various audio formats. It supports Polyphonic and MP3 ringtones. The Bluetooth facility of this mobile phone makes data trasfer becomes an easy job. This Blackberry bluetooth mobile phone comes with the dimensions of 3.98” (H) x 1..97” (W) x 0.69” (D) and it weighs 102 grams. The Battery provides 4 hours talk time and 14 days standby time. Find more mobile phone sites from UK, USA, Asia, Europe and check out mobile phone best resources at bestmobiles.eu, an exclusive mobile phone directory.